Just Whistle and Snap your pictures. 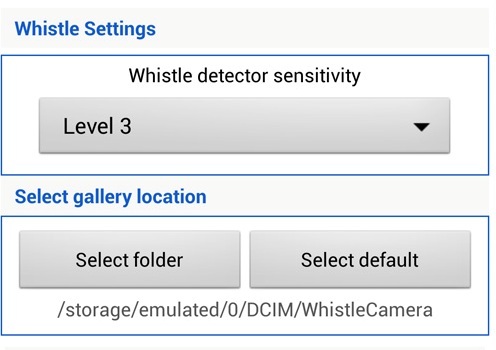 Now its possible with the free google androdi application callled Whistle Camera. In Google play store you will lots of automated apps which allows you to perform your task automatically. But this one is the new which allows you to capture you selfies from your front or rear camera with a whistle or countdown option. Most of the time when you try to take pictures in group and faced so many difficulties to take the best shot with one hand. Well, with Whistle Camera, you can do this very easily, just whistle or set the countdown on your device and the best snap is saved on your phone. 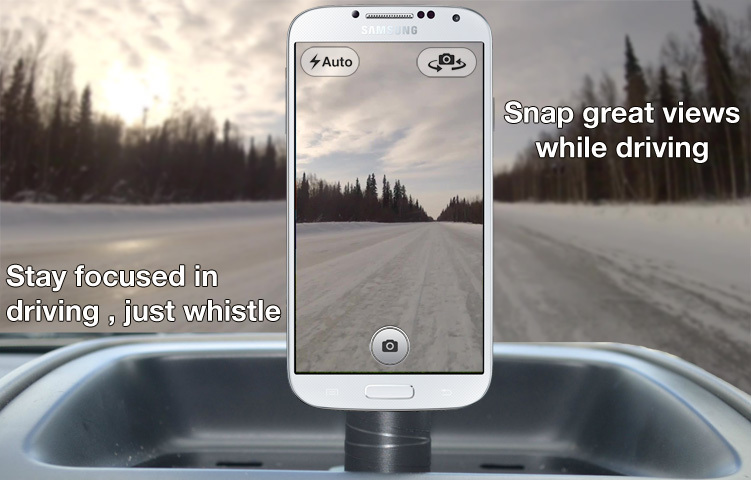 The Whistle Camera app is complete replacement camera app, complete with autofocus, basic editing, a gallery, and more. The best part of the app is that it works with both front and rear camera. Not only this you can also customize the clicked images with this free application. To get started visit the Google play store application on your device and download the Whistle Camera application, you can find the direct download link of the application at the end of this post. Once the application is installed, you can use it directly form the app drawer of your device. From the setting page of the app you can customize customize where the images are stored, as well as the sensitivity of the whistle detector. If you want to change the resolution of the pictures you can do this easily from the settings. Some other useful feature of the application are Auto focus, Both landscape and portrait orientation supported, Edit and Share photos, Using the volume up button for more easy way to take a picture, fast picture gallery etc. If you want to try this new application on your mobile to capture some of the best selfies, download the application from the below mention link.